This past summer found Bob and me in Algonquin Provincial Park in Ontario in search of Black Bears. The blueberry patch at the old airstrip near Mew Lake Campground was a magnet for two families of Black Bears a year ago, so we were hoping that some of them might have returned in search of this year’s crop. 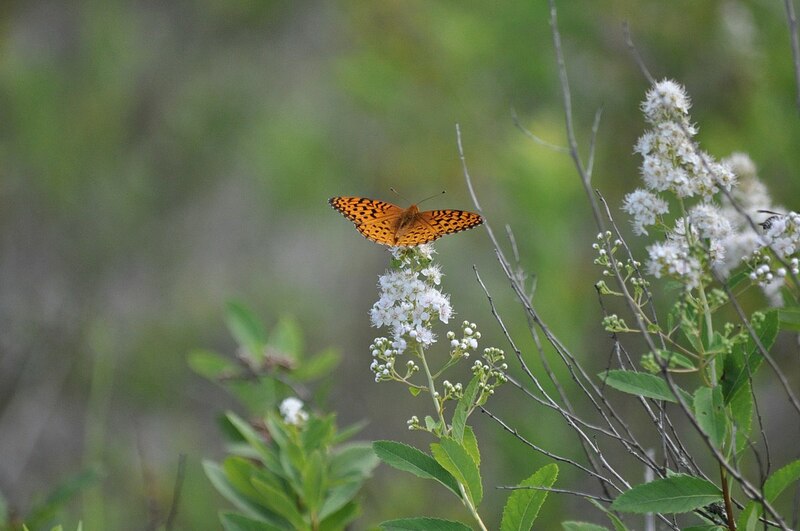 Instead, the only visitors to the blueberry patch were countless Atlantis Fritillary Butterflies. 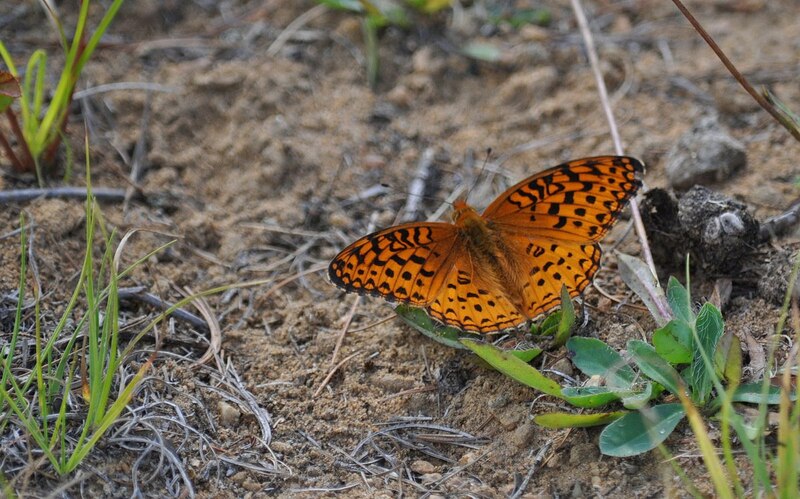 Atlantis Fritillary Butterflies are the offspring of one annual brood. 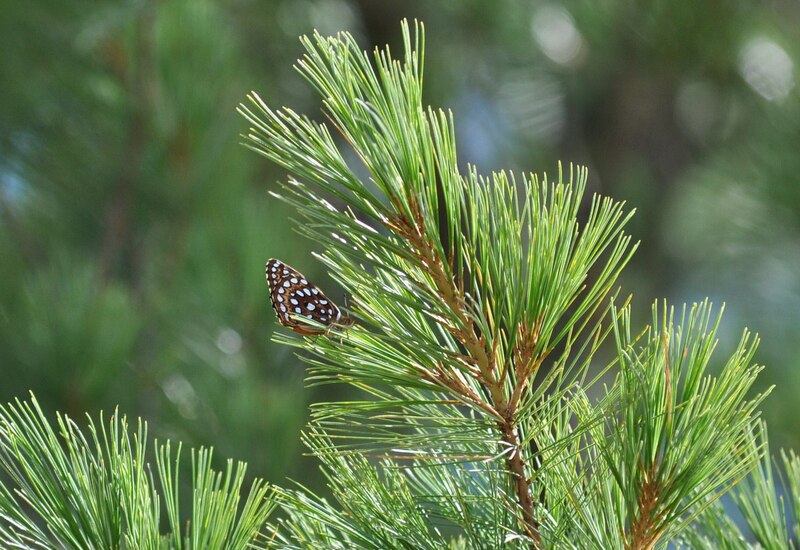 They fly between the middle of June through to the end of August with more numbers of them being seen in July, however the flight period does vary according to the latitude and elevation of the habitat where the butterflies are found. 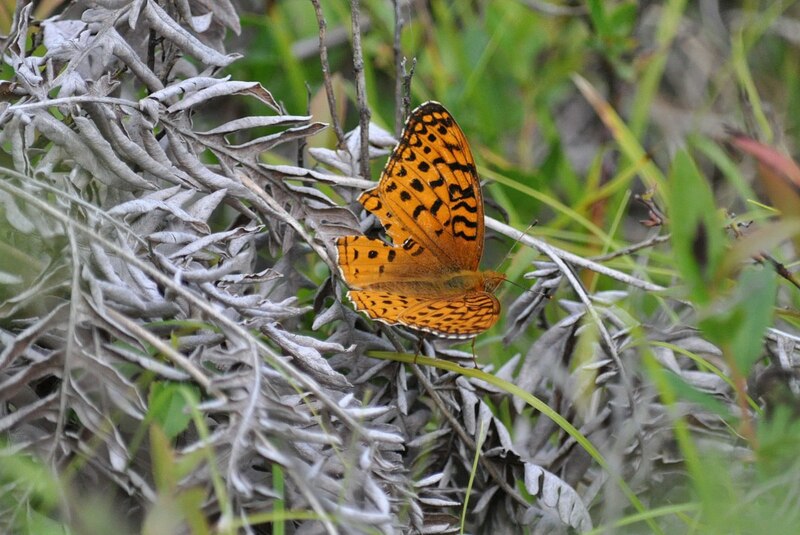 We had a hard time keeping up to the butterflies as they flitted across the shimmering meadow of dried lichen and crispy ferns so were grateful every time one landed for a spell. As distasteful as this photo may be to some viewers, it seems that this particular individual was attracted to some excrement from which it could glean suitable nutrients. 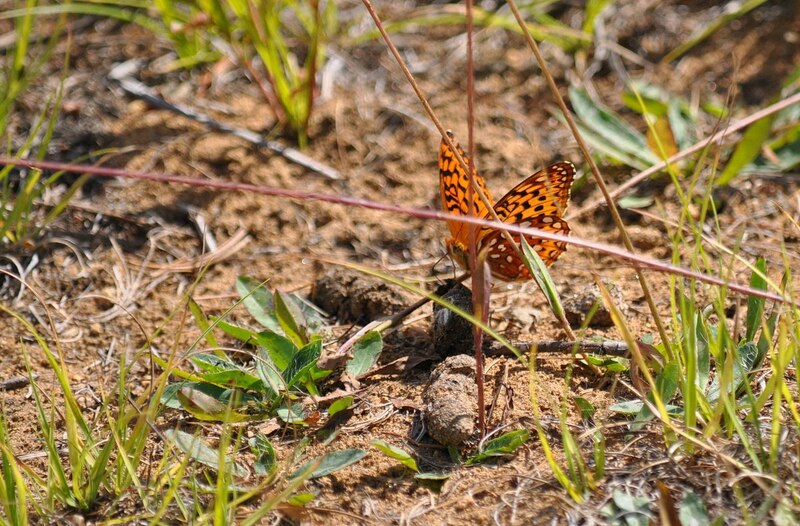 Of the half dozen or so Atlantis Fritillary Butterflies that we saw on this particular day, no two seemed to alight on the same type of plant or substance. Adults feed on nectar from a wide assortment of wildflowers including Common Milkweed, Crown Vetch and Burdock, and there certainly were great stands of Milkweed in the vicinity, but the delicate white flowers of Meadowsweet made the perfect nectar source for this one individual. 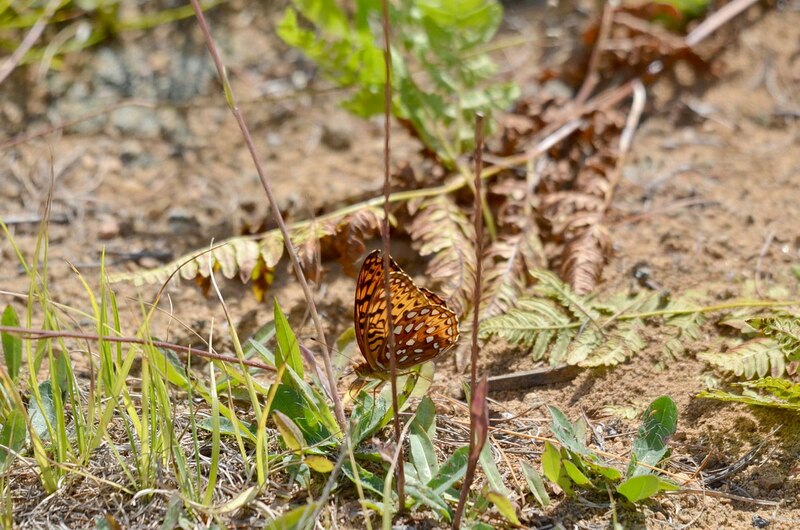 but we found the Atlantis Fritillary Butterflies flying close to the ground as well as in the lower branches of some trees. It is habitual for males of the species to patrol for females when seeking a mate for breeding purposes, so perhaps this individual was taking a break from the hunt. Being breeding season may also account for the numbers we saw in that one location on the same day. 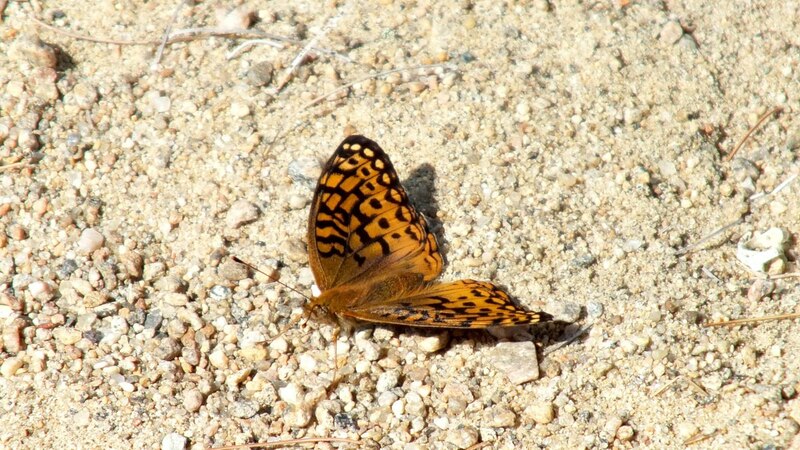 When it comes time later in August, females lay their eggs on host plants or leaf litter near those plants that the larvae require for nourishment after hatching. It takes a little over 2 weeks for the eggs to hatch into caterpillars that will feed upon Violets, Northern Blue or Common Blue Violet and even white Canada Violet fit the bill. 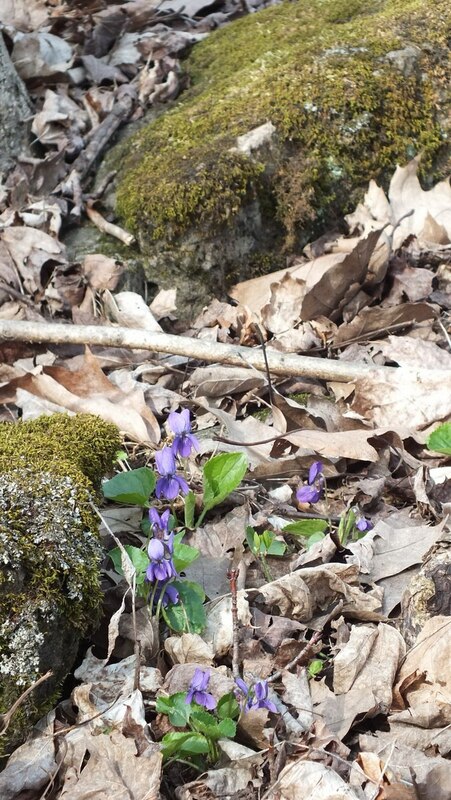 Violets are quite common in wooded areas of Ontario and especially in moist forest openings or along streams. For between 40-50 days, the Atlantis Fritillary caterpillar will feed voraciously on Violet leaves and then form a chrysalis. It is in this dormant stage that each caterpillar overwinters and will emerge next spring to feed once again and continue its growth. 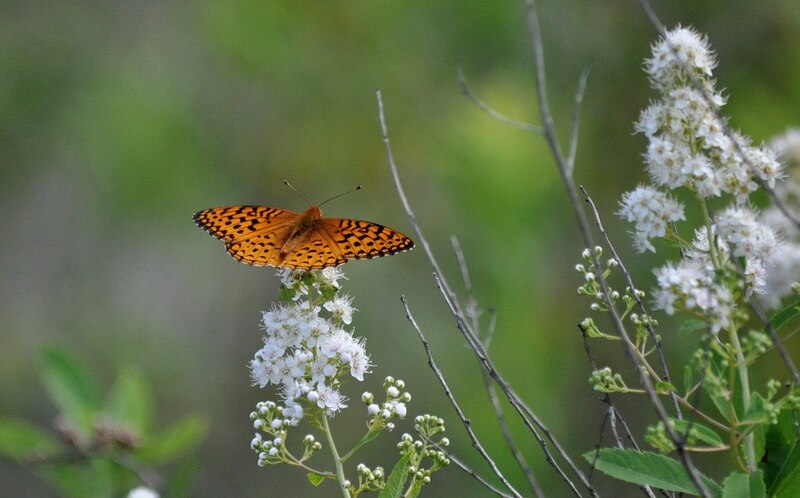 Like many species of butterfly, Atlantis Fritillaries go through several stages of growth or instars before finally emerging as an adult butterfly sometime between the middle of June and the end of August. The freshly minted individuals that Bob and I were observing would begin the process all over again. We certainly enjoyed our wanders around the old airstrip in pursuit of these beauties. No wonder we never saw any Black Bears. Our eyes were constantly being diverted from the deep shadows beneath the Pine Trees and along the forest edge to the sunny environs of the wide open spaces. it was certainly the bright white spots on one individual’s ventral surface that inspired our enthusiasm that day. 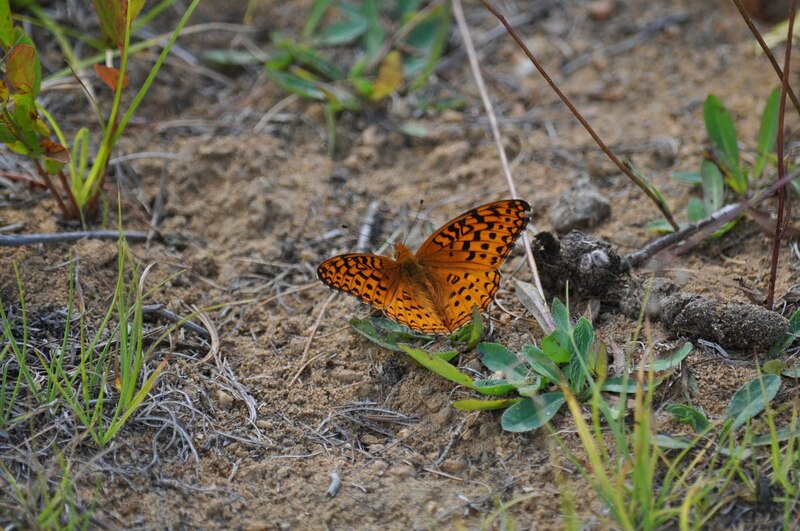 Atlantis Fritillary Butterflies are very impressive insects. 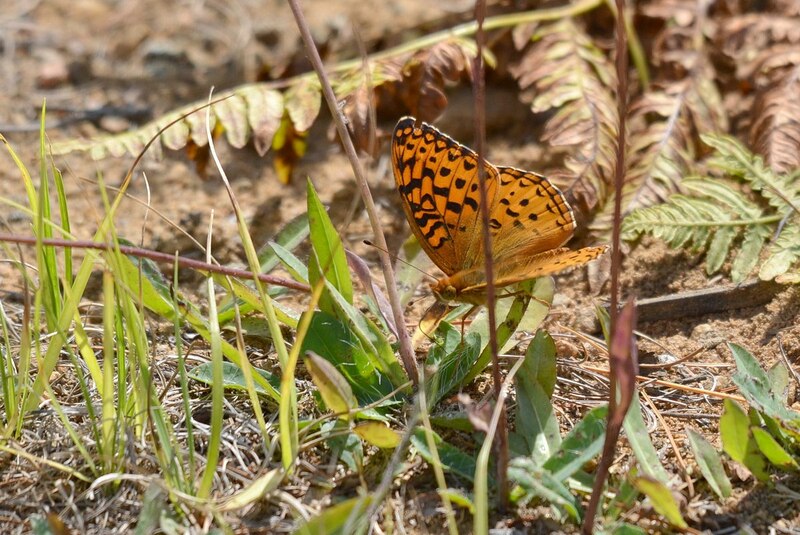 Most of the photos posted on this page look more like Aphrodite Fritillaries. There’s one that could be a female Atlantis. That is interesting. When initially I reviewed our photos of the butterflies, I thought the same as you. 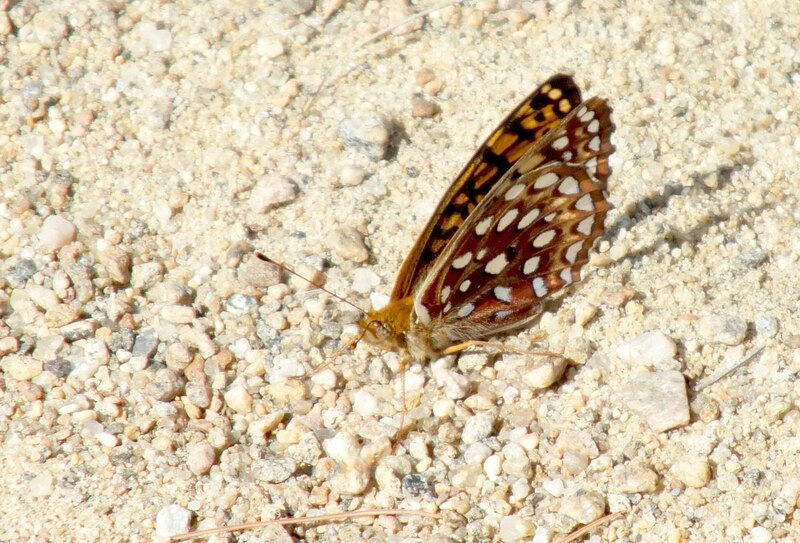 In order to determine if I was correct, I sought advice from a number of people more qualified than myself in butterfly identification, and they corrected me saying that they were Atlantis Fritillary Butterflies. Would you be kind enough to explain the differences that distinguish them as Aphrodites?